Seattle is a beautiful city with panoramic views of snow capped Mount Rainier, Puget Sound with ferries transporting passengers and vehicles from the many islands in the sound and of course the famous symbol of Seattle, the Space Needle. We were very fortunate during our visit of Seattle. The skies were blue and the weather was cool in the morning but absolutely delightful in the afternoon. We opted to walk around the city instead of taking the city bus, but by the end of the day we probably should've taken the bus at least once. We walked all over downtown to the public library, pioneer place, public market and much more. 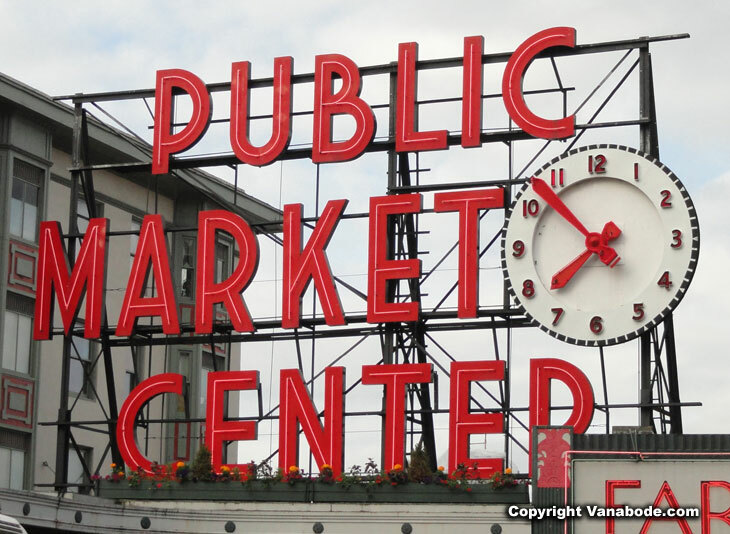 Above: Picture of the infamous Seattle landmark, the Pikes Place Public Market Center sign. 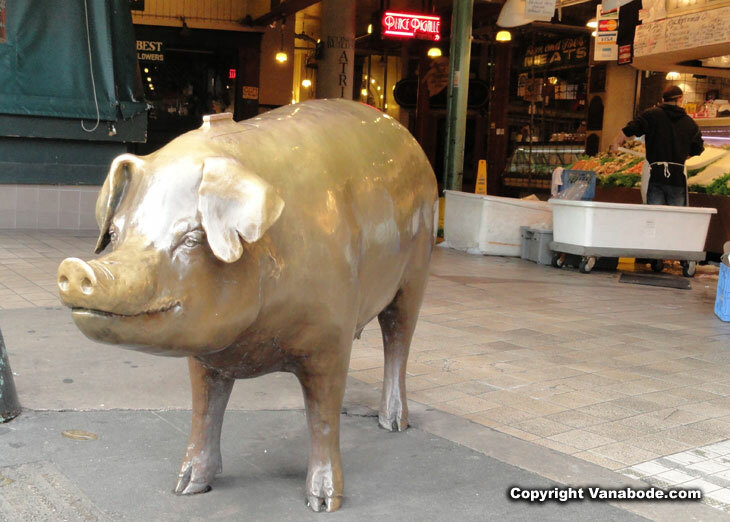 Above: Picture of Rachel, the bronze pig, in Seattle's Pike Place Market. The Public Market pig is actually a piggy bank and collects more than $6,000 each year. The money collected goes to fund the Market's social service. The pig was designed by a local artist, Georgia Gerber who modeled her after a 1977 Whidbey Island County prize winning pig also named Rachel. She weighs 550 pounds and has been in her present location since 1986. She has the cutest little curly tail too. Above: Religious man walking past the ever popular and World Famous Pike Place Fish Market. The Pike Place Fish Market in Seattle's Public Market Center is thee place to watch the show of fish throwing and one of the things that made them increasingly popular and now a destination. The people standing to the right of this open air market are waiting for the men to start throwing fish. However, the fish is only thrown when someone places and pays for an order. Now that is an expensive piece of entertainment. But if you wait around long enough and have your camera ready you should enjoy the show, which lasts about 30 seconds. Really. Above: Picture taken on Pike Street near Public Market. 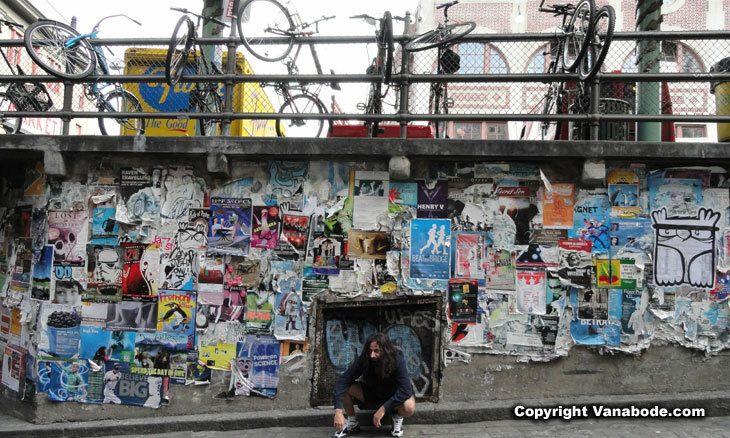 I'm guessing this wall won't be cleared of it's posters any time soon. Find the Storm Trooper. The look of this wall changes weekly. Graffiti in Seattle is a big problem for city officials and costs the tax payers each year to paint over the street art. 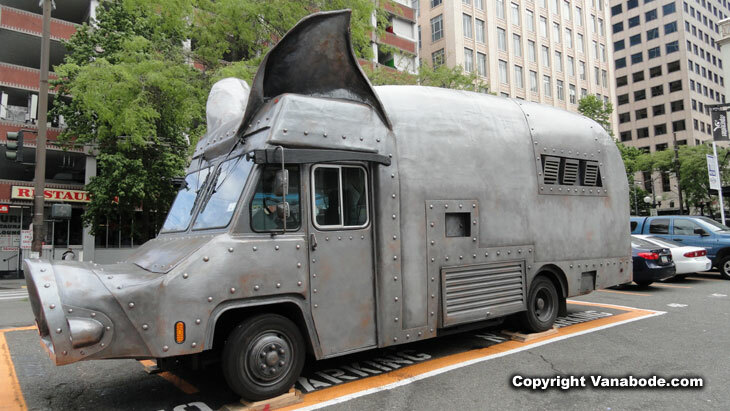 Above: Picture of my favorite thing in Seattle, Maximus Minimus food truck. Yes, they serve pork out of this unique and gorgeous behemoth. They are parked at 2nd Avenue and Pike Street most days. The line of people waiting to order was way down the sidewalk. 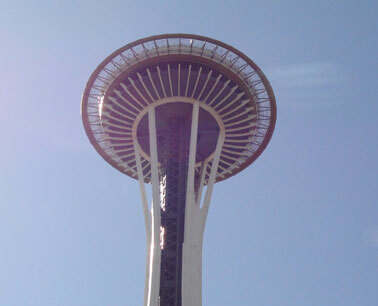 An icon in Seattle and very popular with the locals. We walked from the public market to downtown and a strolled a few other streets on our journey through Seattle. At Pioneer Square we found a great vintage slash rock-a-billy store and went underground for a bit. We spent some time at the public library then walked along the waterway. And lastly we took a quick trip to Seattle Center. Basically, we tried to see everything that we could before heading towards Port Townsend. We took too many pictures to post, talked to some nice people, got the feel of a big city once again, and overall felt like welcomed tourist. 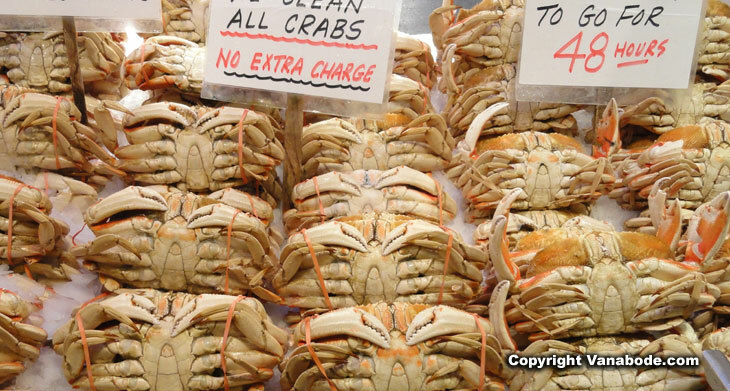 Above: Crab for sale at the Pike Place Fish Market. If you can think of it Seattle probably has it. Shopping, museums, architecture, water, sports stadiums, something for the city mouse and something for the country mouse; the list goes on and on. We crammed a lot into our day of touring downtown Seattle and waterfront and got away with spending a few bucks for food. We stopped into a bunch of shops but one that did impress us was Metskers Maps. They have maps of old and new, for cities and countries, for map nerds (like me) and anybody who is just globally curious. I know I probably should've gone into the original Starbucks, at least to take a picture but we didn't. Instead we went out of the franchise box and ate breakfast and drank coffee from Seattle Coffee Works. It was actually nice, quiet, very comfortable, and the baristas were very friendly too. There are many of new opportunities and shops to visit just waiting for you to discover them in Seattle Washington.